Taking photographs which draw people’s attention requires a lot of knowledge. There is a lot of basic things to learn to the point of being a second nature: like choice of aperture and shutter speed or rules of composition. “Captivating Color” by Mitchell Kanashkevitch, released this week at Digital Photography School, talks about another important skill- managing the color in your images. Many of rules discussed in this e-book are really basic, but when they are spelled out and supported by examples, it is easier to understand them and remember. Some of the subjects discussed in the book include awareness of colors that draws more attention over others, thus are desirable when associated with main subject, and not desirable when placed in the background. How contrasting colors or the same palette colors influence the outcome, and why sometimes things needs to be left out of the frame or removed in post-processing. You will learn how the light defines color, and by that mood and feeling of an image. I found the examples of before and after images towards the end of the book very instructional, and learned a technique or two. They show how to save not too well thought through image- or the one made in the situation which we could not have controlled, with focus on colors and their interaction. But the couple of pages with Lightroom and Photoshop tools are very weak, almost added as afterthought, and not helpful to anybody who has never used them before. There are also some creative exercises, and a suggestion of the webpage to submit your images to get some feedback on them. Both worth checking out. 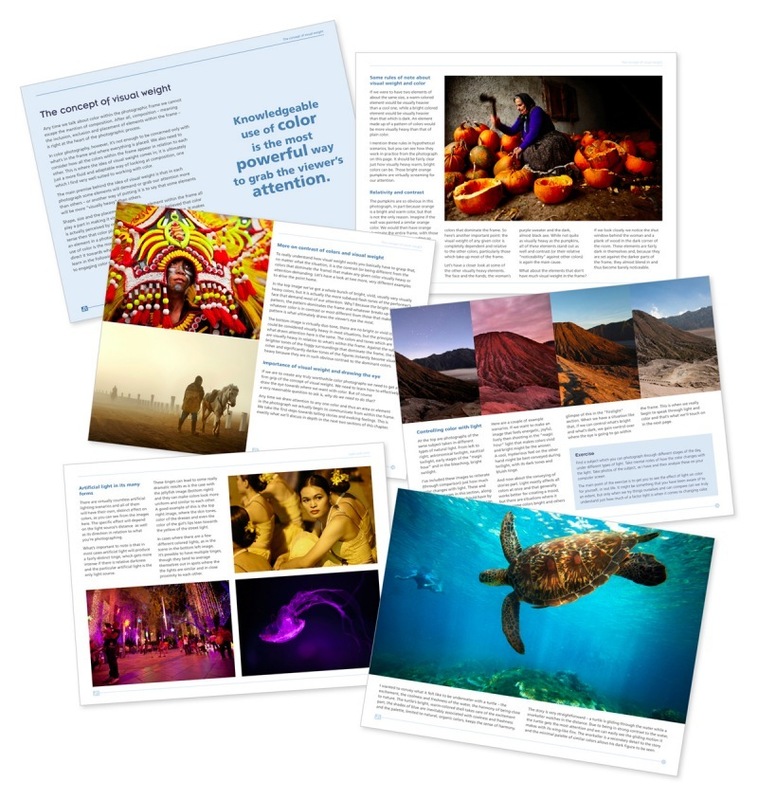 The book is full of great travel images by the author, Mitchell Kanashkevitch. I think it is a pity that they are downplayed by leaving them without captions, stating where they were taken, and telling more of their stories. 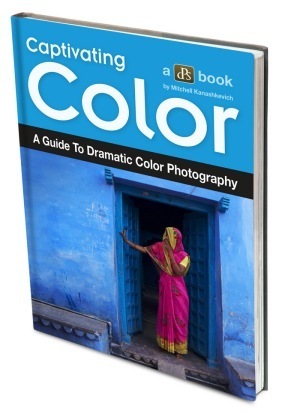 If you buy the “Captivating Color” e-book by the end of the week (that’s probably tomorrow! ), you will not only pay only $14.99 for it, but also get another e-book by Mitchell Kanashkevitch “Seeing the Light” for free. Disclaimer- the links in this post are affiliate links. One Response to "“Captivating color” by Mitchell Kanashkevich – e-book review"